● 71mm f/4.9 Imaging Refractor Telescope. 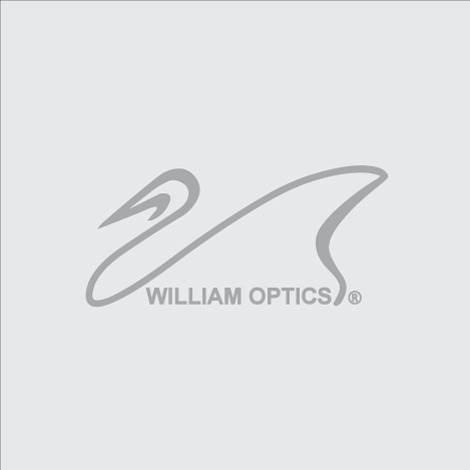 ● FPL-53 glass for color free apochromatic performance. ● 4 elements in 3 groups (2-1-1- configuration; new, unique, patented design - not a conventional objective/flattener/reducer design). ● Covers 45mm full frame imaging circle. ● 2.5" dual speed R&P focuser. ● Includes mounting rings and Vixen style dovetail. ● Weight = 4.19 lbs / 1.9 kg (OTA only); 4.85 lbs / 2.2 kg (OTA with rings and dovetail). ● Focuser drawtube travel = 2.5" / 35mm. 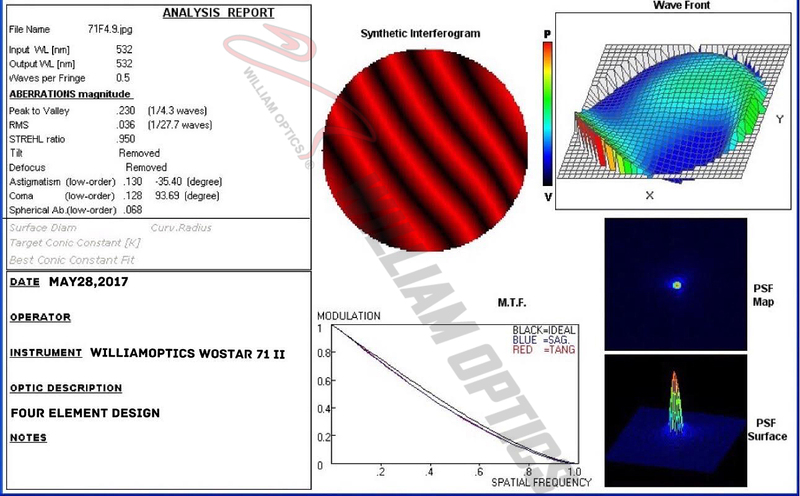 This scope is ultimately designed for astronomers who want the best results in photographic/CCD imaging. 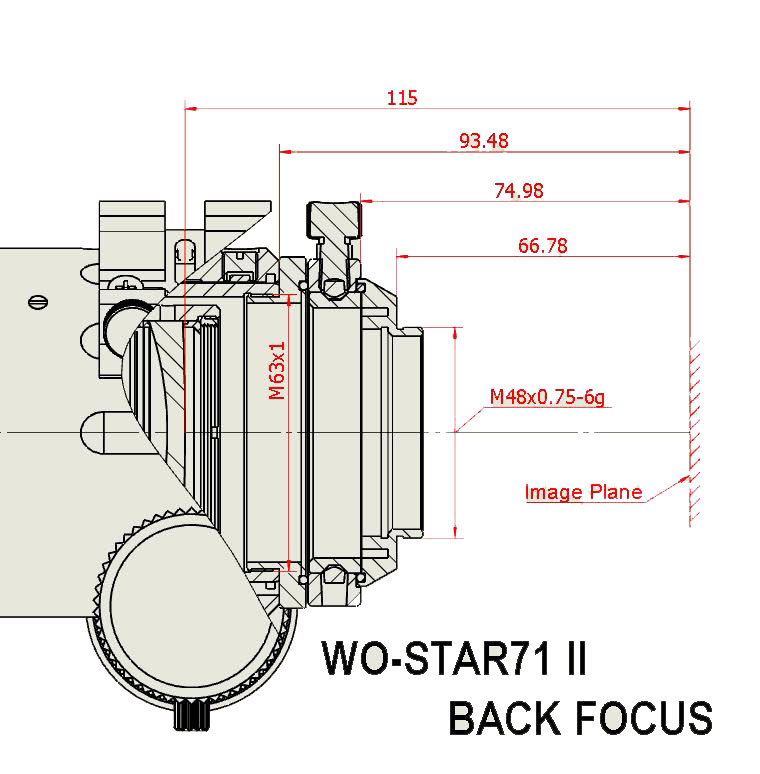 The WO-Star71 imaging telescope provides pinpoint stars at the very edge of a 45mm imaging circle. 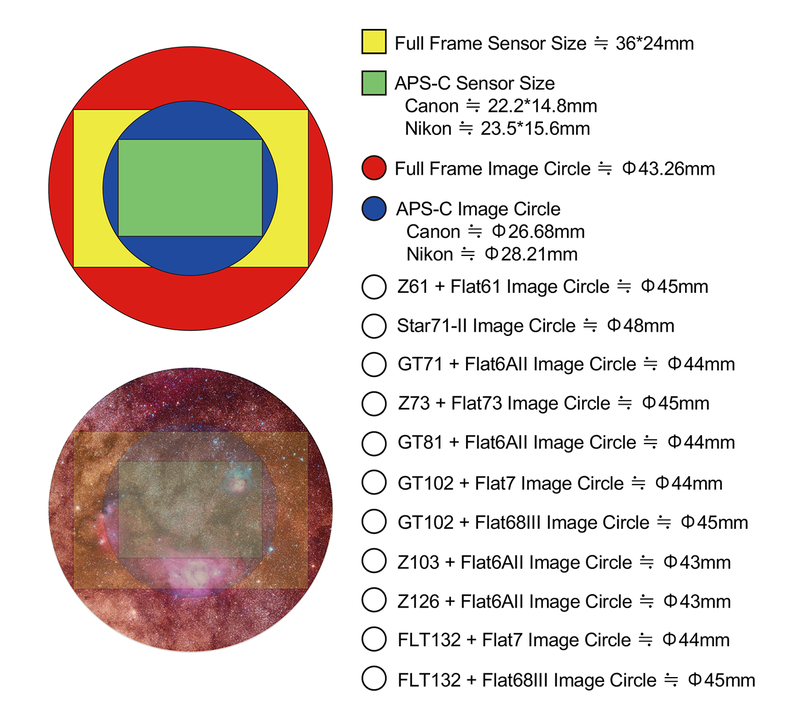 ● Covers 48mm full frame imaging circle. ● Focuser drawtube terminates in a male M48 thread. Telescope does not come with a wide M48-Canon EOS adapter ring. Similar rings are available from other supplier for other brands of cameras. Not a conventional 2" focuser tube with locking thumbscrews..
● Optional 1.25" 90-deg dielectric mirror diagonal sold separately for those wishing to use this as a visual. This diagonal comes with a custom adapter that connects directly to the M63 female thread on the telescope's focuser tube; you cannot use standard 1.25" diagonals. Telescope cannot reach focus with larger 2" diagonals. The Petzval element does NOT move with the focuser. It remains stationary within the tube. 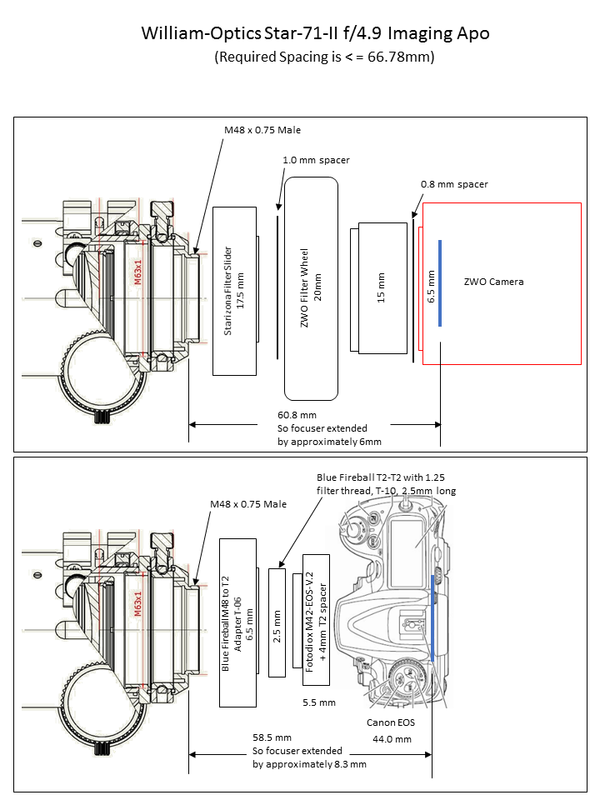 So as long as you attaining focus on the sensor plane, it will “automatically” getting the correct spacing, since that is the location of the focus (for objects at infinity), and does not change relative to the Petzval element.